Italian sitting broccoli is an easy and delicious way to get an extra serving of vegetables in your diet. Broccoli florets and layered with tomatoes and cheese and cooked until tender. This dish can be served on its own as a side or paired with pasta for a complete meal. In a deep cooking pot, add in layers: the fresh broccoli, canned tomatoes, grated cheese, olive oil, salt and pepper. Repeat, covering the top layer of broccoli with the tomatoes, cheese, salt, pepper, and a drizzle of oil. Add enough water to about half the depth of the pot or to only half cover the broccoli whichever is shorter. 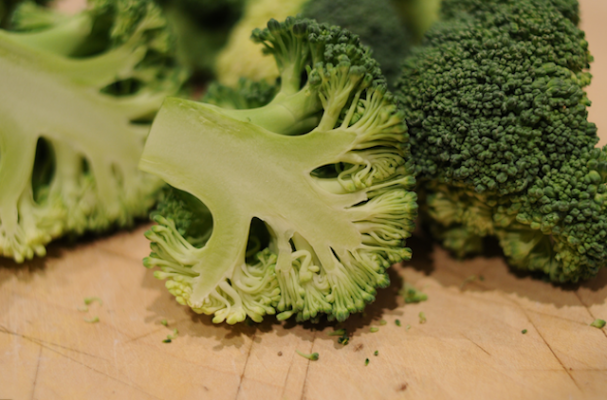 Cook until broccoli is tender, but not overcooked. Serve with hot crusty Italian bread as a supper dish.